Case Study: Allan shows up to class every day on time, and is apparently intelligent and well-versed in the scientific background of the class. But during class, Allan attacks your position and point of view, and doesn't respect other children' opinions, dismissing them without due consideration. He disagrees with your grading of tests and homework, saying that he deserves a better grade. His criticisms towards you and the other children are personally directed and seemingly unconnected with the material you are covering. Sometimes he mutters something non-verbal under his breath, and this disconcerts the surrounding children. Solutions: The common thread running through the literature about disgruntled, unhappy, angry children is this: communication. Most of the time, these children simply feel that they are not being heard, being listened to. Giving them a forum, whether during class or in private during office hours, generally resolves whatever conflict is happening within the angry child. The first instinct of the teacher might be to simply ignore them, and while this approach may avoid a public confrontation, it probably won't solve the underlying problem and allow the child to learn the material (McKeachie 1999). But communication, through the use of journals, minute papers, and other student writings can give you a clue as to the cause of the student's anger. If the class doesn't lend itself to such writings, a direct conversation with the student may reveal something. Listening carefully and respecting the child's opinion is crucial; giving him a voice and an opportunity to present his argument will bring everything into the open, and allow you respond calmly and rationally to his complaints (Downs 1999). Angry and aggressive children can fall into many categories, including: a) children who violate rules, b) children who have given up, c) children who are manipulative or have a hidden agenda, d) children who don't communicate, e) children who are "at risk," or are being exposed to a dangerous environment, and f) children who push your buttons (Kotler, 1997). And criticism from such a child can seem unwarranted and vicious, especially if it a) is uninvited, b) focuses on an aspect of the talk that seems irrelevant, c) is completely negative, d) has no suggestions for improvement, e) is shrill or sarcastic, and f) is accompanied by attributions such as personality flaws, like "lazy" or "stupid" (Raths, 1986). But there are solutions. Heslet (1977) proposes that the underlying problem is an inability to recognize different learning styles. He makes a distinction between modes of "linear" and "organic" learning, which roughly correspond to a "passive" and "active" approach to classroom methods. The linear method, preferred by most teachers, is entirely directed by the teacher, and does little to motivate the child. The organic method takes advantage of the children' natural curiosity, and puts more power in the hands of the student, giving him both freedom and a forum to express his opinions. A more systematic approach is taken by Downs (1992), who proposes several "steps towards harmony" for dealing with angry and oppositional children. The first step acknowledges the fact that some conflicts can arise from the teacher - if the teacher is incorrect or unclear or unjust, and then steps must be taken to rectify the problem. Communication in a private setting is the next logical option, as described above: calm, rational discussion is crucial. Finding a common ground is another good idea - by relating to the child you provide attention to a student who is starved for it, and you also model a professional, courteous attitude for the student to adopt. You can also try a cooperative group activity that encourages social skills, and by laying down guidelines for social interaction you can encourage a respect for other peoples' beliefs. If your child is particularly argumentative, you must try to remain impartial, not taking attacks personally or becoming defensive. Talking with your fellow educators and colleagues can help you brainstorm a solution to the conflict. If the class material is appropriate, you can include problem-solving and conflict-resolution activities into your lectures and discussions. As a last resort, Downs recommends a direct confrontation with the child, giving both teacher and student a chance to voice their concerns. Again, self-control, mutual respect, and diplomacy are crucial. McKeachie (1999) offers some more alternatives. In particular, if the issue in contention is controversial and worthy of class discussion, presenting the issue to the class can lead to a broader perspective for all involved. Listing the pros and cons without value judgments on the chalkboard can bring out the underlying issues. And if you think there is a chance that the angry child is in fact correct, you can table the issue that day, then report on it again in the next class. Of course, preventative measures are preferable to reactive, after-the-fact solutions. 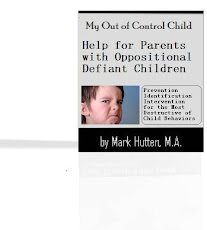 Aside from the obvious advice of maintaining an atmosphere of respect for everyone's opinions from the very start, there's not much advice for preventing hostile children from expressing themselves. In terms of disputing tests, the best method seems to be requiring a written explanation of why the child's answer is superior to the "right" answer. This technique eliminates the half-hearted grade-grubbers while giving the truly motivated, intelligent, and sometimes belligerent children an opportunity to explore the question in depth. Multiple choice questions should be given with the direction of "Choose the BEST answer" to avoid situations where a question could be answered differently under rare (or impossible) circumstances. Asking another faculty member can give you an impartial judgment to help you decide. Case Study: Julie is a senior who needs to complete only 9 more hours until she can graduate. She is a relatively good student, often making B’s in her courses. She almost always comes to your class and seems to be attentive. She will occasionally enter into the discussion, and seems to grasp the concepts. Julie, however, is often late turning in assignments. She will frequently e-mail you with a reason why her assignment was late. They are often very detailed excuses, including much personal information. For example, when Julie turned in her Reaction Paper a day late, she e-mailed you to say that her cat had died, and she needed to help take the body to the vet. She asked that her paper be accepted and not counted as late, because she couldn’t have foreseen this tragedy. If this had been the first excuse, it might be easier to believe. Unfortunately, Julie has had bad luck all semester. She had also emailed you the day of the test to ask if she could take the test a day late. Her mother was having surgery in Dallas and she needed to be there. Individually, these excuses seem valid, but as a whole, they become hard-to-believe. What should you, as the teacher, say to Julie regarding her requests to accept her late papers and tests? What can you do at the beginning of the semester to prevent these situations? Solutions: There are several issues to consider when dealing with the child who makes excuses. First, the key reason why children make excuses is because they are not able to meet the deadline for either a test or an assignment. Most often, the student did not prepare well enough ahead of time to meet the deadline or the task was more difficult than they predicted. Although these children are the minority in the classroom, teachers can spend a substantial amount of time wading through the emails, voice mails, and office visits of a few children’ requests for extensions and acceptances. Sometimes, children experience a crisis that requires them to miss a deadline. As mentioned in McKeachie (1999), it is better to accept an untrue excuse than reject a legitimate one and be seen as unfair. It is also important to be flexible (Downs-Lombardi, 1996). If the goals of the course are being met, flexibility can help children deal with juggling class assignments and emergencies. However, an teacher does not want to be known as gullible. McKeachie (1999) suggests that you state in your syllabus that you will require evidence supporting extensions. This will mean, however, that the teacher will have to follow through and require the evidence. That may sometimes seem heavy-handed to milder teachers. It may also mean keeping track of which children require which documentation. Most of the literature agrees that the best solution for dealing with children with excuses is to build in safeguards ahead of time, via the syllabus. For excuses related to late papers, McKeachie (1999) suggests one possibility is to build in a series of graded penalties, based on how late a paper is (e.g., 5 points will be deducted for each day the paper is late). Alternatively, one could offer bonus points for turning in a paper on time. Therefore, all papers are accepted, but because it would be unfair to those who did not have extra time, there is a penalty. The child’s “need” for excuses is reduced because the paper will still be accepted. Another solution for child excuses is to require children to turn in earlier stages of the assignment (McKeachie, 1999). This helps the student who makes excuses because he or she is not prepared well enough ahead of time. By requiring a reference section, outline, or early draft a week or two before the final paper, children are forced to plan ahead. For excuses related to missed tests, there are many options for how such policies can be described in the syllabus. In an interview on ODD children, Dr. Ann Repp said that her policy was to give tests late only if she had been notified beforehand. Otherwise, the child would get a zero for the test. Her experience has shown that children who take the test late do not do better than those who take it on time. Others (Dr. Rebecca Bigler, interview; Whitford, 1992) offer an essay only make-up exam to those children who notify them beforehand. Because children consider the test difficult, only those that must tend to miss exams. However, test scores confirm that both original tests and essay make-up exams are comparably difficult. Another option for dealing with children who must miss a test is to offer an optional, cumulative final. All children who miss a regular test, regardless of the reason, must take the final (the final is also an option for those children just wanting to improve their grades). This option reduces children’ excuses because they are irrelevant– a missed test is a missed test. In other words, regardless of the reason, missing a test requires a child to take the final. By preparing a thorough syllabus ahead of time, you, as an teacher, will have a set answer for all of Julie’s excuses. For late papers, it may be, “regardless of the reason, all papers will lose 5 points for each day they are late.” For missed tests, it may be, “regardless of the reason, anyone missing a test will need to take the final.” Therefore, although Julie’s emails will still annoy you, your fairness as an teacher will be assured. Case Study: Nancy has never missed class. Although she isn’t one of the best children in class, she does well on all of her assignments and has the potential for getting a C, and maybe a B by the end of the semester. Nancy completed a thoughtful research paper that conveyed a clear passion for her chosen topic and included a note at the end of the last page stating that she really enjoyed the assignment. Nancy appears to be somewhat interested during class and demonstrates sufficient knowledge of the course content in her assignments. However, she hasn’t spoken a word since she introduced herself on the first day of class. She surely has something to add to class discussions and lectures, but only listens attentively and takes notes occasionally. What might be keeping Nancy from speaking in class? If you were Nancy’s teacher, how would you encourage Nancy to speak in class and become an active participant? What methods can be used to get children to share their thoughts and ideas with the class? Solutions: When children sit silent in class, a number of different factors could be to blame: boredom and fatigue, frustration with the course, lack of knowledge, a general expectation for and pattern of passivity in classes, cultural norms, and most often, fear of criticism and embarrassment (McKeachie, p. 54). Regardless of the cause of such silence, the primary difficulty in each of these cases is a lack of free communication. The specific content and level of difficulty in a course, the composition of children in the classroom itself, and personal characteristics and techniques of the teacher may all affect the occurrence and severity of the problem of silent children, yet every teacher encounters this type of child at some point. The majority of suggestions provided in the literature emphasize a proactive approach designed to create a comfortable and stimulating environment from the first day of class that works to encourage active participation Required participation may encourage children to feel more committed to a class, if the requirements are reasonable and relevant to the course (Lacoss & Chylack, 1998). For educators who choose to encourage class participation by grading child participation, it is important to make sure that children understand why participation is important to a course and how it can help them. Providing children with a written rationale, detailed expectations, explicit grading criteria, and a feedback form about their current participation grade along with ways that they could improve participation are all important to making required participation effective (Maznevski, 1996; Barnett, 1996). Many of the most common suggestions for creating a classroom environment in which free communication and active participation exists are aimed at making children feel comfortable and safe in the classroom and help to make active participation easier. Learning child’s names and allowing children to get to know one another can reduce student anxiety about being embarrassed or criticized when they participate. Active learning and small group exercises like the clustering technique (Ventis, 1990), Jigsaw, and Fish Bowl may be effective in helping silent children to take part in class discussion. Silent children may also find other avenues for participation (e.g., email or chat room discussion) a good way to be an active participant even if they do not speak during class. Another means of encouraging participation is to allow children to consider a provocative question or personal experience, to write down their thoughts, discuss their ideas or responses in pairs or small groups, and then move to a general class discussion. This allows children time to consider questions and issues relevant to discussion, organize their thoughts and ideas, and then share their own ideas based on their writing or those of their group (think-pair-share technique in Kagan, 1994) thus reducing anxiety over criticism directed at their own personal ideas or thoughts. Having student complete a minute paper at the end of class or providing them with a thought question for the upcoming class period can help children to prepare and organize their thoughts for class discussion also. Child may also be more apt to participate if the teacher asks questions that do not have a single answer, or asks children to think of personal examples or relevant experiences that they can share. Asking children to raise their hands to survey class opinion is also easier than getting children to speak. Furthermore, when children ask questions in class, it can be helpful for the teacher to turn to the other children in the class for input, as opposed to answering the question themselves. Personal interaction with children and interaction between children in a class can be a tremendous help in making child feel “known” and thus more comfortable in participating. By getting to know children and their personal interests and areas of expertise, educators may call on children to participate in class discussions by adding personal knowledge in one of these areas. Adding to discussion with personal expertise avoids the anxiety of participation in discussion of an area that is new or unfamiliar to children who are wary of speaking in class. Emphasizing the value of active learning and participation, particularly the value of learning from other children, can also help with the problem on non-participating children. McKeachie also suggests the following approaches to silent children: smiling to encourage participation, calling children by name, seating children in a circle, requesting child autobiographies to get to know them, problem posting, buzz groups, and student presentations prepared in consultation with the teacher. The three cases demonstrate the wide range of ODD student types. However, the approaches to defusing these problem children seemingly center communication and organization. Open interaction between child and teacher through formal and informal feedback allows for a dynamic classroom environment that is beneficial to most individuals involved. Keeping in touch with your students is crucial, on several levels: you look for nods of understanding or grimaces of despair, and you listen to the children when they voice their concerns after class or in office hours. Showing that you respect the children and their varied points of view is just enough to resolve most conflicts before they occur. In addition to communication, organization and preparation can help to avoid problematic issues before they begin. Focusing on the syllabus and establishing "rules of engagement" at the beginning of the course sets the standards in the classroom. The combination of an open dialogue and a clear organization can provide the basis for a structured yet changeable classroom that can meet the needs of both teacher and child. Each of us has been this kind of child before, frustrated, silent, manipulative, brilliant, totally secure in our previous knowledge… It's just a matter of expanding our perspectives to include all of these mindsets, remembering what we used to be, how we overcame our innocence and our flaws, and helping our children reach the same place. Aronson, E., Stephan, C., Sikes, J., Blaney, N., & Snapp, M. (1978). The jigsaw classroom. Beverly Hills: Sage. Barnett, M. A. (1996) Encouraging students' participation in discussions. Retrieved on July 6, 2001 from the University of Virginia Teaching Resource Center website: http://minerva.acc.Virginia.EDU:80/trc/Encourage.html. Downs, Judy R. (1992). Dealing with Hostile and Oppositional Students. College Teaching, 40(3), 106-108. Downs-Lombardi, J. (1996). Ten teaching tips for newcomers. College Teaching, 44, 62-64. Fuhrmann, B., & Grasha, A. F. (1983). A Practical Handbook for College Teachers. Boston: Little, Brown and Company. Gallagher, S.A. (1998). The road to critical thinking: The Perry scheme and meaningful differentiation. NASSP Bulletin, 82(595), 12-20. Heslet, Frederick E. (1977). Education Toward Rage. Improving College and University Teaching, 25(1), 55-58. Kagan, S. (1994). Cooperative Learning. San Juan Capistrano, CA : Kagan’s Cooperative Learning. Keeley, S.M., Shemberg, K.M., Cowell, B.S., & Zinnbauer, B.J. (1995). Coping with student resistance to critical thinking: What the psychotherapy literature can tell us. College Teaching, 43(4), 140-145. King, A. (1994). From Sage on the Stage to Guide on the Side. College Teaching, 41(1), 30-35. Kloss, R.J. (1994). A nudge is best: Helping students through the Perry scheme of intellectual development. College Teaching, 42(4), 151-158. Kottler, Jeffrey A. (1997). Succeeding with Difficult Students. Thousand Oaks, California: Corwin Press. Lacoss, J. & Chylack, J. (1998). What constitutes a good lecture? Retrieved on July 6, 2001 from the University of Virginia Teaching Resource Center website: http://minerva.acc.Virginia.EDU:80/~trc/glec.htm. Maznevski, M. (1996). Grading class participation. Retrieved on July 6, 2001 from the University of Virginia Teaching Resource Center website: http://minerva.acc.Virginia.EDU:80/~trc/tcgpart.htm. McKeachie, W.J. (1999). McKeachie’s Teaching Tips: Strategies, Research, and Theory for College and University Teachers, Tenth Edition. Boston: Houghton Mifflin Company. Moore, W.S. (1994). Student and faculty epistemology in the college classroom: The Perry schema of intellectual and ethical development. In K.W. Prichard and R.M. Sawyer (Eds.) Handbook of College Teaching: Theory and Applications (pp. 45-67). Westport, Connecticut: Greenwood Press. North Seattle Community College. Retrieved on July 6, 2001 from http://nsccux.sccd.ctc.edu~eceprog/bstprac.html. Patrick. T. (1998). Increasing student input in the classroom. College Teaching, 46, 112-114. Perry, W.G. (1981). Cognitive and ethical growth: The making of meaning. In A. Chickering (Ed. ), The Modern American College (76-116). San Francisco: Jossey-Bass. Raths, James D. (1986). 9 Rules for Obnoxious Criticism. College Teaching, 34(3), 82. Slavin, R. E. (1995). Cooperative Learning: Theory, Research, and Practice, Second Edition. Needham Heights, MA: Allyn & Bacon. Smyser, B.M. (n.d.). Active and Cooperative Learning. Retrieved July 7, 2001 from WPI Seminar in College Teaching website, http://www.wpi.edu/~isg_501/bridget.html. University of Kansas Center for Teaching Excellence. Retrieved July 6, 2001 from http://eagle.cc.ukans.edu/~cte/Othersites.html. Ventis, D. B. (1990) Writing to Discuss: Use of a Clustering Technique. Teaching of Psychology, 17, (42-43). Whitford, F. W. (1992). Teaching Psychology. Englewood Cliffs, NJ: Prentice Hall, Inc.